The complementary lights are House of Troy’s Classic Picture Lights. 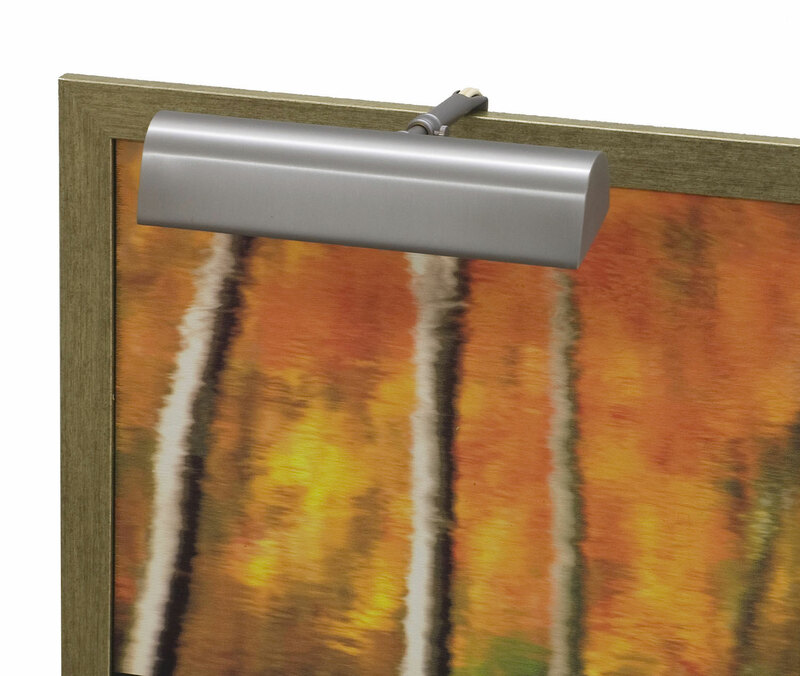 The picture lights create soft accents to décor and artwork hanging on the walls. 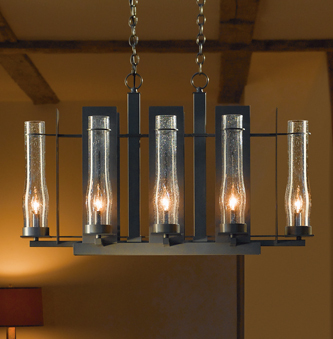 With its simple lines and hurricane glass, the rectangular fixture fills the room with light. 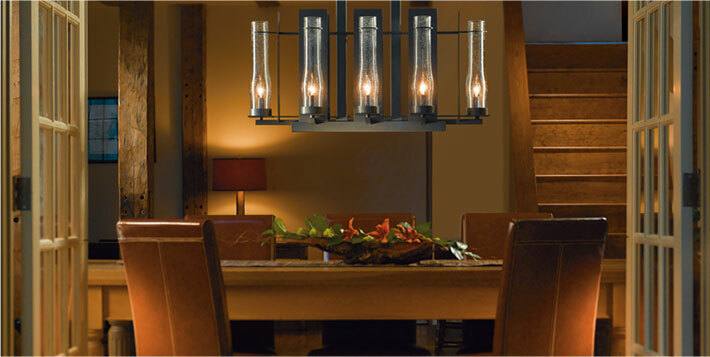 Its forge-like features and textured surfaces are indicative of the country lighting style. The clear seeded glass provides a refreshing and timeless look that becomes alive with highlights when illuminated. The 8-light New Town Chandelier canopy kit includes 15’ of wire and 3’ of chain. OPTIONS: Bronze Finish with Seeded Clear Hurricane Glass (as shown) – other options available. This classic, handcrafted picture light is available with 5”, 9”, and 16” shades in gold, satin brass, satin nickel, polished brass, or chrome finishes. 8 ft ivory cord and in-line switch 3 feet from plug. Arm adjustable from 5” to 7”. Ball swivel at shade. Contact a Wolfers expert lighting consultant to discuss your specific job applications. The cottage+country lighting style is a mix of light colors, comfortable fabrics, and furniture and accessories that are easy on the eyes, with a vintage appeal. Primitive furniture, muted colors, milk-paint finishes, and vintage fabrics all characterize the cottage+country style. This style often depicts a “Great Outdoors” motif, incorporating elements of wild game, wood, antlers, and materials found “on site” or in nature. The patina copper base of the lights used in this room flood the walls with warm lighting. Cottage+country style brings the comfort of nature and the outdoors to your home.